There is nothing like picking fresh thyme for your healthy chicken dinner on a hot summer afternoon. There is also nothing like picking fresh mint for your honey sweetened tea from your indoor garden on a freezing morning in the dead of winter. Make that your indoor herb garden. While growing vegetables indoor during the winter will require a special setup of growing lights, herbs will do just fine with a few hours of winter sun. So, even though the vegetable growing season is coming to an end, herb gardening is simply moving indoors. There are many kinds of herbs that you can grow indoors. I choose the eight below because they are common and very easy to grow. Parsley comes from the Mediterranean and is a part of the Apiaceae plant family. There are two main groups of parsley: curly leaf and flat (Italian) leaf. A third kind of parsley is less known and is grown mainly for its root (leaves are edible too). Italian parsley is used more commonly for cooking and salads because of it’s stronger flavor while curly leaf parsley is used more for decorative garnish. Parsley is a biennial herb that prefers cool weather. It will grow a flower stalk in the second year. Although parsley will reseed itself and keep growing as long as weather conditions are appropriate, you might not find the quality of the leaves comparable to the first year. Parsley contains a volatile oil named Myristicin, which has been shown to suppress formation of tumors. It is high in vitamin K, C, and A and is a good source of folic acid (promotes healthy heart). Cilantro comes from regions across southern Europe to southwestern Asia and northern Africa. 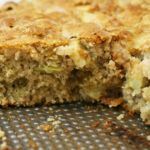 Like parsley, it’s also a member of the Apiaceae family. Cilantro is an annual herb. If you let cilantro go to seed, you’ll get two herbs from one plant; the leaves and the seeds that are called coriander.Cilantro leaves are soft, thin and very flavorful. Both cilantro and coriander are commonly used in Mexican and Middle Eastern cuisine as well as many others. Cilantro is rich in vitamin A, C, and K as well as antioxidants. Thyme comes from Southern Europe and Northern Africa and is a part of the Lamiaceae (mint) family. There are more than 300 varities of thyme including Common Thyme, English Thyme, French Thyme, Lemon Thyme, Orange Thyme (has a citrus flavor) and many more. 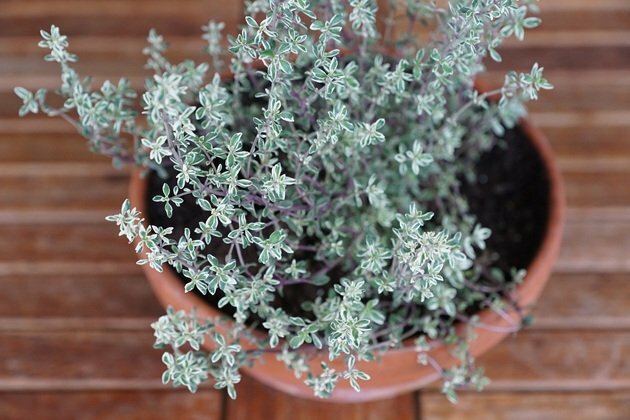 Thyme is a perennial that thrives in warm, dry weather. In the South, it usually survives the winter, however, on a northern homestead, it might need some protection. Thyme is widely used in cooking and pairs delightfully with lemon and garlic. Thyme essential oil is used as a therapeutic oil as well as in soaps, lotions, and even candles. Rosemary comes from the Mediterranean and Asia and is a part of the Lamiaceae (mint) family. Rosemary is a fragrant, evergreen perennial but most likely will not survive a harsh winter. If cared for, it can grow many years and reach a substantial bush size of up to 3 feet tall. The leaves are used to flavor foods, and many people use bunches of rosemary for their fragrance and decoration. You can also use rosemary as a pest repellent in the garden. Rosemary is a source of iron, calcium, and vitamin B6. Chives are native to Europe, Asia, and North America. They are a part of the Amaryllidaceae plant family and a relative of garlic and onion. 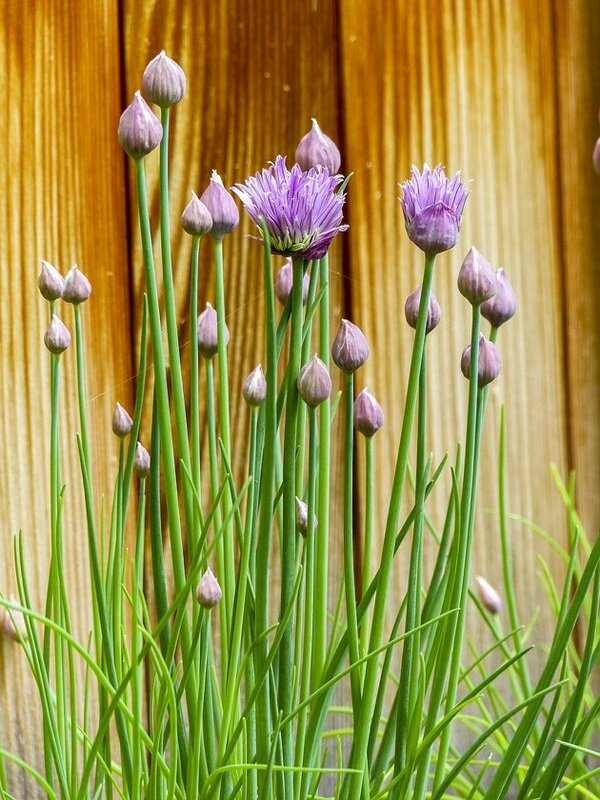 Chives are a perennial herb that grows in dense clusters, 12-20 inches tall. They are the smallest species of the onion family and has hollow leaves and purple flowers that are also edible (preferably before they open). Chives are a flavoring herb that can be used just like green onions; in soups, salads, fish, potatoes and many other dishes. Chives are rich in vitamins A and C and contain trace amounts of sulfur. They are rich in calcium and iron. They have the same medicinal properties of garlic but are much weaker. Oregano is native to the Mediterranean and is a part of the Lamiaceae (mint) family like rosemary. Oregano is a perennial. It will survive a cold winter. However, it’s most comfortable in hot, dry climates. If left alone, this herb will spread and take over the garden. Oregano is widely used as a culinary herb either fresh or dry. It’s an inseparable part of almost any Italian or Greek dish. It is also used to flavor meat, fish, vegetables, and sauces. Oregano has too many health benefits to list here. It is rich in antioxidants and is antifungal, antibacterial, and anti-inflammatory. Oregano essential oil is used to support the digestive system and relieve joint pain among many other uses. Lemon balm is native to North Africa, South-Central Europe, and the Mediterranean. It is also a part of the Lamiaceae (mint) family. Lemon balm is a perennial that grows in clumps and will spread vigorously. During the summer, small white flowers will appear. Those flowers are full of nectar and will attract bees. 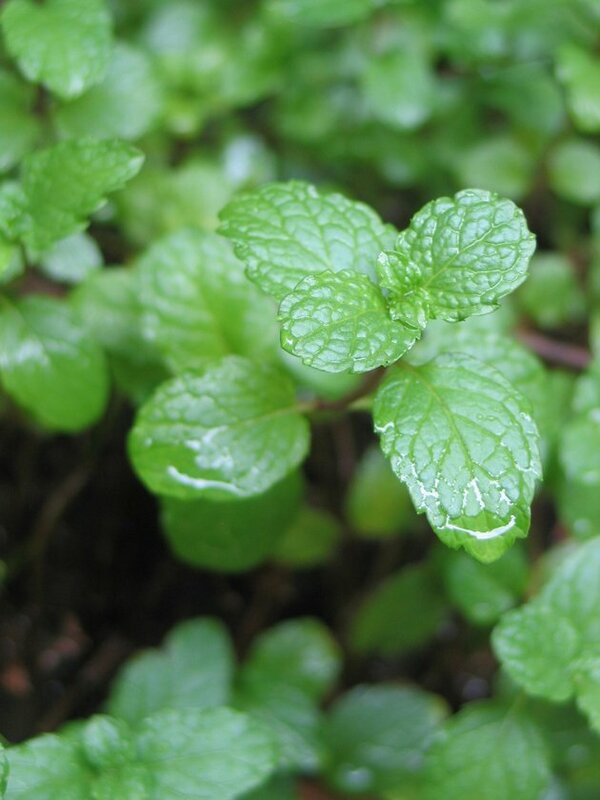 Lemon balm is mostly used for tea and sometimes to flavor ice cream. Lemon balm will help support your immune system. It is rich in antioxidants and is antiviral and antibacterial. Lemon balm can help reduce redness and itching from eczema and infections. It will also help with insomnia and tension. Mint is native to the Mediterranean and is a part of the Lamiaceae family. Mint is a perennial herb that likes to grow close to pools of water or in misty areas. It likes lower temperatures and partial shade but will grow in full sun as well. Mint will send runners and take over the garden if not contained. Mint will attract the good bugs and will deter the bad bugs. You can use mint in teas, salads, and desserts. Mint promotes healthy digestion, can relieve nausea and headaches and is very helpful for respiratory disorders. Where Can I Get Herbs for My Indoor Herb Garden? Seeds – You can start all of the herbs above from seed. Some are easier than others to start. If you want to start from seeds, you will have to start thyme, rosemary, oregano, chives, mint and lemon balm during the growing season when the days are longer, and there is more available light. Start them outdoors, and then move the pots indoors in the fall. You should start parsley and cilantro from seed. You can start seeds in spring or in fall. Let me suggest a very cool product here: Johnny’s Selected Seeds seed disks for parsley and cilantro. Those are 4” round fabric disks that will fit in a 6” pot. They have some seeds inside them that are pre-spaced. The disks are very easy to plant. You can find other seed disks on their site. Cutting – you can start rosemary, mint, oregano, lemon balm, and thyme from cutting. So, if you have a family member or a friend who grows one of those, you’re in luck! With scissors or a sharp knife, cut a 3 to 4 inch stem of new growth from a healthy plant, preferably one that is growing outdoors. Clean the leaves from the bottom inch and a half, and place the stem in a jar of water. The water should reach the lower leaves. Place the jar on your windowsill or in another place with plenty of light, but not direct sun. Change the water daily. Every herb is different, you can see roots after two days or three weeks. When roots are 1/4 to 1/2 inch long, it’s time to plant the stem in soil. Division – you can divide chives, lemon balm, and mint, and you might be able to divide oregano as well. This job is better done on an overcast, damp day in the spring. You will need a shovel, a pair of pruning clippers and a healthy plant, preferably one that is growing outdoors (in your garden or someone else’s). Dig around the area that you want to divide. Try to go 10 to 15 inches deep. Then, place your shovel in the center of the plant (or off center, depending on how big of a section you want to divide), and push down on the shovel to cut and divide the plant. You might need the help of the clippers to cut some roots. 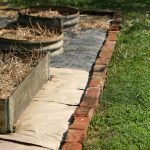 Make sure to fill the hole you left with compost and soil and to plant the divided piece in a pot with good garden soil and compost. Water both plants well. Nursery – Your local plant nursery, home and garden supply store, or even your local supermarket should have rosemary, mint, oregano, lemon balm, and thyme in small pots for sale. They might have seeds for cilantro and parsley as well. It will be a small investment to purchase your herbs this way, however, except cilantro and parsley, you won’t have to buy them ever again assuming you care for them properly. How Should I Plant My Herbs? Use good potting soil, preferably organic. Use a lot of compost. I use my homemade compost or my worm castings. You might want to plant one herb per pot. You should plant oregano, lemon balm, mint, and chives in separate pots since those herbs spread. Don’t plant in pots that are too big. Even if you have enough room in your house, your herbs will appreciate spending time outdoors once spring arrives. Make sure you can easily transfer the pots from one spot to another. Choose a pot that allows for good drainage. You’ll find instructions for planting seeds on the back of the seed pack. 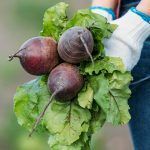 If you are planting a nursery plant, a divided plant or a rooting stem, fill your pot 3/4 of the way full with a mixture of compost and potting soil. Plant your herb in the center and add some more potting mix/compost around it. Water well and keep away from direct sun but in a location with plenty of light. Where Should I Place the Pots? A sunroom will work best. If you don’t have a sunroom, choose a sunny window. A south-facing window will work great during the winter. Your herbs will do good with 5-7 hours of light a day. How Should I Care for My Indoor Herb Garden? You’ll be surprised how little there is to do! Water your plants when the top layer of the soil is dry, once or twice a week. Rotate your pots every 4-5 days to promote even growth since plants tend to bend towards the light. If you want to give your plants a bit of a boost, you can water with compost tea. How and When Should I Harvest My Herbs? With annuals (cilantro and parsley), you can start harvest as soon as the plant has established. You should cut the sprigs a couple of inches from the soil. Harvesting will stimulate new growth assuming your plant is getting enough light. You should go easy on the perennials (thyme, rosemary. oregano, chives, mint and lemon balm) in the first year. Allow them to establish and put on enough growth. When you harvest, make sure not to cut the stems too close to the soil, leave at least 1/3 of the plant height intact. Once the plant has established, you can harvest as much as you want. Harvesting will stimulate new growth. Just make sure always to leave some leafy growth on the plant. You are now ready to go get a few herbs, pots, soil, and compost and start your indoor herb garden! 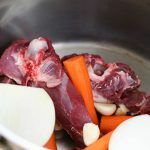 Those herbs will make any dinner you make ten times tastier, and will help you strengthen your immune system during the cold month of winter. The little garden will scratch the winter gardening itch (you can even stick your fingers in the soil when times get too hard 😉 ), make your house smell better, and your hot tea much more relaxing and soothing. Best of all, it’s super easy. No hot, humid days, no mosquitos to bite you or pests to bother the plants. It’s herb gardening at it’s best! THANK YOU! I’m going to pin and print this. This is going to be my first indoor garden. Thank you for such a great guide! I got this! Good luck Amy, I’m happy this helped you figure out where to start! I’m sure your garden will be great, those herbs are very easy to grow. I need my plant to grow on north side I live in a villa and that is only window???? Take a couple of days to record how much sunlight you get there. If it’s 5 or 6 hours in the winter it should be fine. If it’s less you might need to place a lamp close to your plant and leave it on for an hour or two every day. how about sage? I have one outside–will it survive winter? how to propagate sage? Yes, I think it will survive winter if you place it by a sunny window. Follow the same directions as in my mint post to propogate (https://ladyleeshome.com/how-to-grow-a-mint-plant-from-cuttings/). Come back to let me know if it survived! Thanks for all your great information. Much appreciated. I live on the island of Roatan, 21 miles off the coast of Honduras. I’m struggling to get mint to grow, but I have only tried outdoor. I’m going to try your propagation technique from the small amount I have been able to grow in a old stone planter. Do you have any suggestions on growing mint in the warm tropical climate? Definitely plant it in a container (not too small). It will spread and fill the container. Make sure that it is in half shade. If the plant is struggling you might want to move it to full shade ( a lot of light, tho). Sood container soil (not garden soil). Also, if you place the container outside, make sure it doesn’t get too much rain. Remember it comes from the middle east where the weather is mostly dry. Water it well once a week or so. Good luck! I hope you can keep it growing. My favorite drink is mint tea. I boil water, add a few mint leaves and a bit of honey and that’s it. It’s so good! Thank you so much for taking the time to be so helpful. I really appreciate it. I hope you have a wonderful day and I will let you know how it turns out. I personally love mint, but have read that mint is pretty invasive and should not be planted in the garden or it can take over and outgrow other plants! Is that true? Yes, it’s better planted in a container. If you plant it in the garden you have to clip roots regularly.